Gimap is an Italian excellence in the world, a company who produces top quality handcrafted scissors and cutting tools, since more than 60 years. 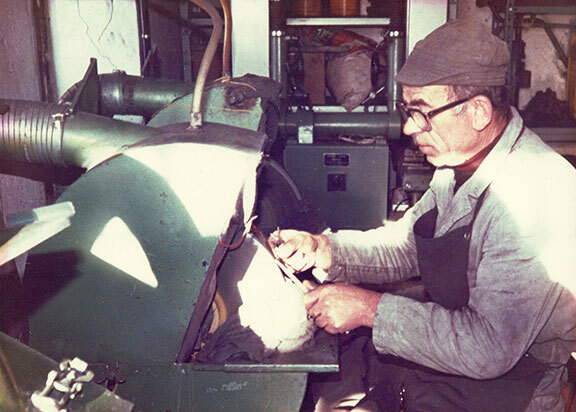 Gimap was founded after world war II when Mario Gianola, iron craftsman, created in Premana (Valsassina) a small workshop for scissors production. Valsassina, and Premana above all, is actually the keeper of the very old tradition of knives, scissors and other cutting tools manufacturing. Gianola family is one of this tradition’s protagonists, who was able to innovate and branch out in the years, using technology and “up to date” equipment. The goal? Grant high quality products, the quality that characterizes Gimap since ever. THESE FEATURES MAKE GIMAP A UNIQUE COMPANY SINCE MORE THAN 60 YEARS: A COMPANY SUPPORTED BY A HIGH CRAFTSMAN TRADITION AND THE DESIRE FOR TECHNOLOGICAL DEVELOPMENTS, AWARE THAT A QUALITY PRODUCT IS ALWAYS THE BEST BUSINESS CARD. WATCH OUR PRODUCTS!ASK FOR INFORMATION! Gimap differs from the competitors not only for its quality, but for the high speed in orders processing. This is possible thanks to the well furnished warehouse, that allows shipments all over the world in real time. 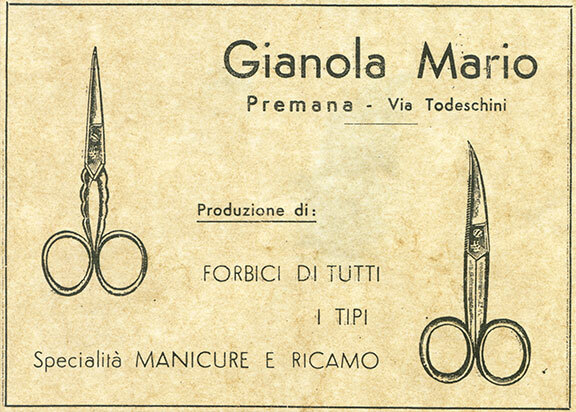 Thanks to targeted marketing plans and careful studies in the “product design” field, Biagio and Vittorino Gianola, Mario’s sons, created a rich catalogue including scissors, clippers, files and tweezers. THE PRODUCTS’ LARGE SELECTION, TOGETHER WITH CARE, PASSION AND UNINTERRUPTED TECHNOLOGICAL DEVELOPMENT, CHANGED GIMAP FROM SMALL WORKSHOP TO A WORLDWIDE ACCOMPLISHED COMPANY, WITH 70% OF THE WHOLE PRODUCTION RESERVED TO EXPORT.